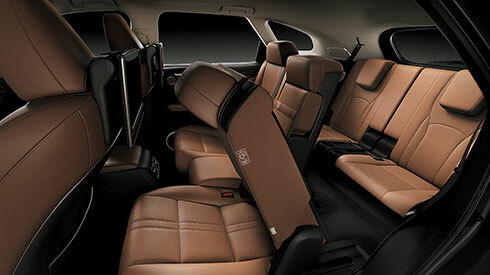 The RX450hL/RX350L changes to suit your needs, whether you require comfortable third row seats for extra passengers or a spacious luggage compartment. Theater-style seating provides a slightly higher eye point in each successive row so that all occupants enjoy excellent visibility and a satisfying open feeling. 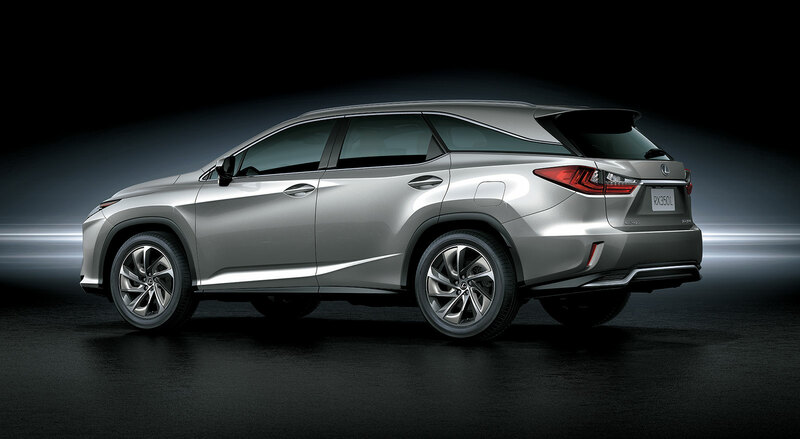 The RX450hL/RX350L provides a flat, gap-free luggage space, regardless of whether the third row seats are in use or stowed. 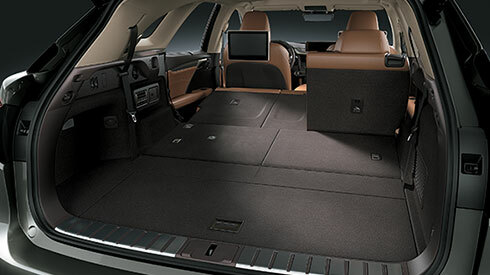 The tonneau cover stores under the luggage space floor to provide ample room for luggage even when carrying seven people. Both the second row and third row seats have a split seatback design to enable different luggage configurations. 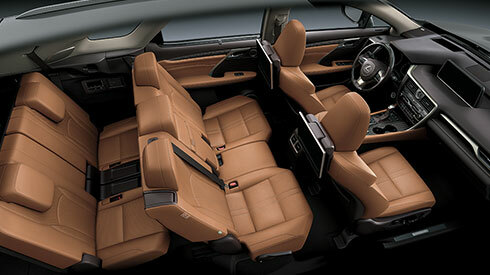 The power folding third row seats are controlled by switches in the passenger side trim of the second row seats and in the left side of the luggage space. Touch the walk-in lever on the side of the second row seats to slide them forward. The seats can also be folded flat for easy access to the third row seats. The flat floor enables comfortable access. The left and right third row seats have adjustable air conditioner vents in the side panels. 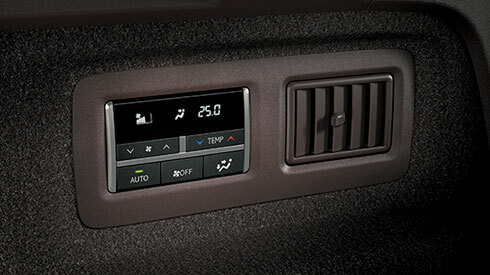 In addition, a control panel located beside the left seat allows rear-seat occupants to adjust the temperature, airflow and other settings.